Paths I have walked, literally, as I have explored the countryside around me from the time I could walk, and figuratively, as I walk through life. I was first inspired by the beauty of the local landscapes of Carnegie and the trails and byways along the Chartiers Creek and throughout the Chartiers Valley, paths I’ve been walking since I began to walk. Those paths led me away to learn new things, and led me back, to interpret what I’ve found. 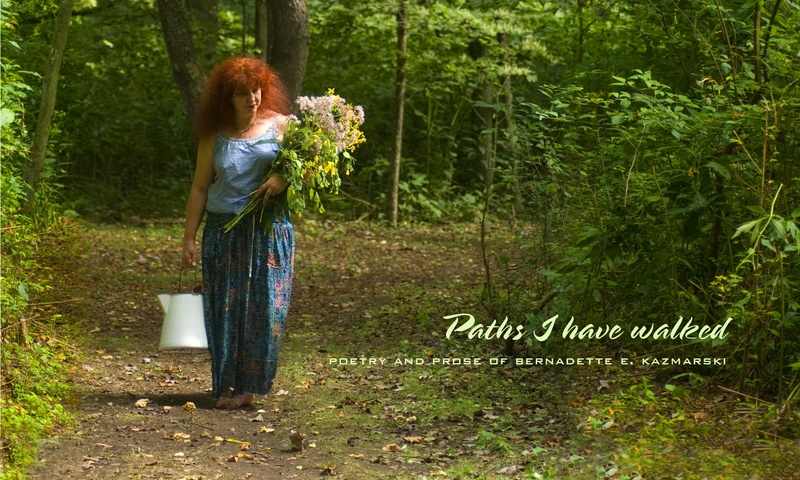 My biggest inspiration for poetry, prose and artwork is still the world right around me, and I enjoy the opportunity to share it from the perspective of one who walks and hikes and bikes and carries a camera, art materials and journal everywhere—even around the house—so the inspirations are fresh. The familiarity of weather and structure and cultural habit are a starting point, a base to build upon as I walk other paths while building my stories.